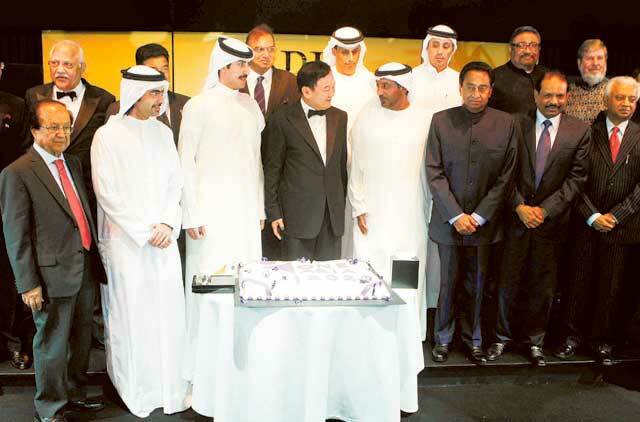 Dubai: Thaksin Shinawatra, the controversial former Prime Minister of Thailand, called on Asian countries to increase economic integration with each other in an awards ceremony speech in Dubai on Saturday night. In the closing address of the 2013 Asian Business Leaders Forum (ABLF) Awards, the former Prime Minister said the need for Asia to come together has never been greater, pointing out that western countries are no longer importing as much as they used to from Asia. “This is indeed the momentum to take the One Asia metamorphosis. Now is the time to build on Asia’s potential to make it the economic powerhouse … that it should be,” Shinawatra said. The ABLF Awards recognises political and business figures from across Asia and the Middle East. Shinawatra is a former recipient of the event’s Statesman Award despite being ousted in a 2006 military coup following widespread allegations of corruption. He has since been convicted for political corruption and now lives in Dubai. However, his sister Yingluck, who is the current Prime Minister of Thailand, recently led an amnesty bill through parliament that would have pardoned him. The proposed bill, subsequently rejected by the Senate, sparked widespread public and political protests leading to calls for political reform. Yingluck has since dissolved parliament and announced fresh elections to be held in February next year. In his speech, Shinawatra said Asia was united in its vision for a vibrant and confident continent but that it had looked too much to the west. “For many decades we have relied on the western model of development. Even in our regional interactions, we have always had an eye out for Europe,” he said. According to Shinawatra, Asia will need to diversify its assets and enhance connectivity between its countries if it is to grow its economy. He said Asian countries should again focus on production but increase intra-regional exports and imports. He also spoke on the vast income disparity across Asia and said enhancing the purchasing power of all Asians would contribute to global economic growth. However, Shinawatra warned that Asia’s problem is that it has followed the western mode for production, emphasising on exporting mass-produced goods. “To realising people’s right and potential in Asia we should recognise that the process of qualifying Asia’s role in production and assets in the past can be one important factor in upgrading the quality of life of our people but that … cannot draw on the early 20th century method of production,” he said. He said that although Asia is a successful mass producer it risked falling into the same trap as the European Union, who he said has stopped thinking about diversity. “Herein lies (sic) the key for Asia how to diversify its sources of growth and build strength from its diversity,” he said. Thailand’s Deputy Prime Minister Kittiratt Na-Ranong attended Saturday night’s event and presented awards alongside Shinawatra. He would not comment on Yingluck’s decision to dissolve the Thai parliament.